​We aim to provide relaxation and peace at our lavender farm. After visiting a distant lavender farm, Maria fell in love with the slower pace of life. She then had a dream to add lavender plants to her husband's produce farm. Maria became passionate about creating body and bath products that aid in soothing the body. With so many wonderful uses of lavender, the products created are meant to be both aesthetic and medicinal. 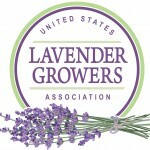 We believe in providing you with the best lavender products our hands can create. Pack a picnic lunch, bring your camera, and enjoy the wonderful surroundings of our lavender farm. You will feel energized and relaxed after spending the day at our farm. Plus, shop our supply of lavender bath and body items! ​Visit the Products pages for products we have handmade especially for you. Hungry? Find wonderful recipes on our Recipes page. If you would like us to host a special event, please contact us by clicking here. Lovemore Lavender items make great gifts! Ask us about our gift options. Plus, bring an item to be auctioned off—make some money while enjoying great food and activity! Attend attend one of our events, or contact us today to make a reservation for your own special event. Visit us on Facebook at LovemoreLavender1​.